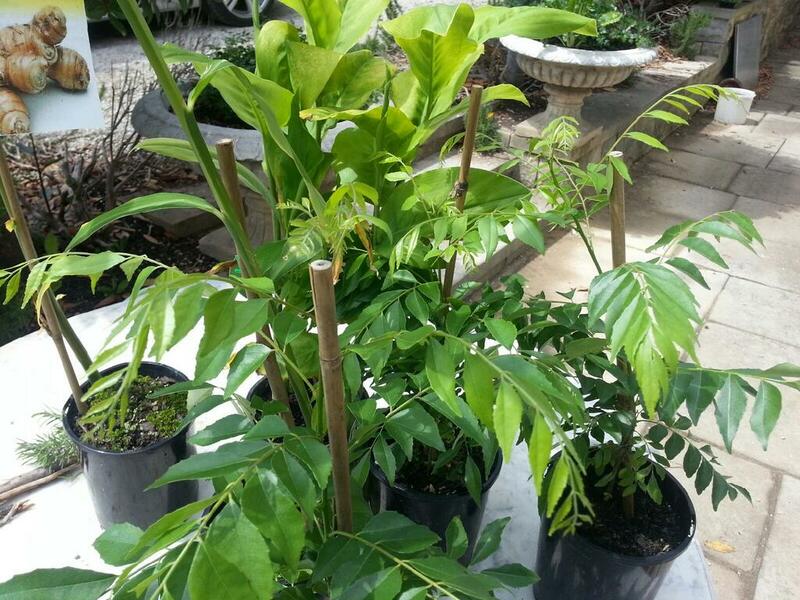 My newly purchased curry trees are being planted in my greenhouse in what looks like becoming my tropical garden section. Ta Dah! Quite exciting. Jonny and I will be on the look out for prowling tigers and take malaria tablets before safariing there. To plant my new additions, I dug a decent hole and half filled it with composted cow manure. Flooded the whole hole and then planted the curry trees finishing them with composted hay (from the local mushroom farm), a sprinkling of organic Rapid Raiser and a watering in with a bioactive organic mix of GoGo Juice. They will be watered daily and hopefully (actually, no doubt) establish secure roots by the dormant winter months. My concern is that the Bowral winters can be fierce. Frosts seem to have a way of burning plants, even in the greenhouse. That said, my previous curry trees have lived for years in the glasshouse, baring many rich harvests of uniquely scented leaves for my authentic curries. Incidentally, here we are sorting through the piles of just-picked curry leaves. These will be packed in tightly sealed containers and frozen. That’s right, frozen. It is a technique I have been successfully employing for decades. 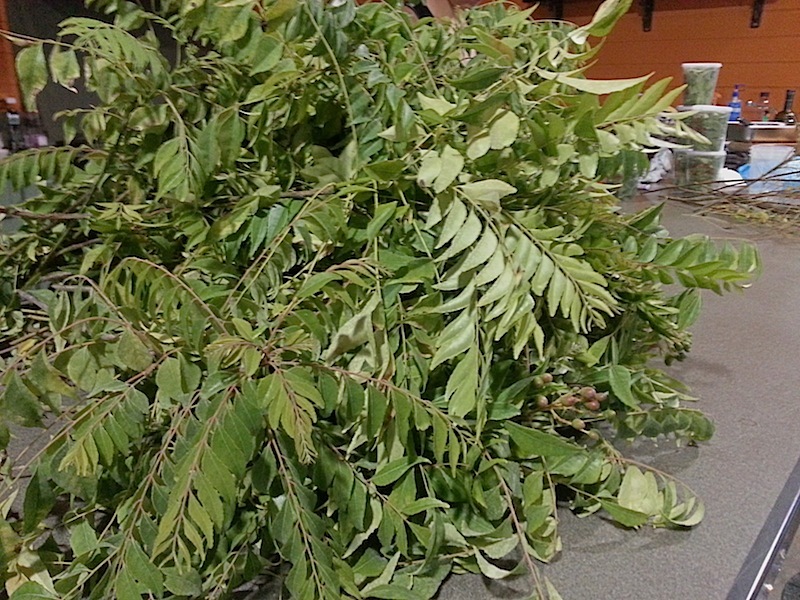 Curry leaves very quickly lose their flavour after harvesting; however, by freezing them, and using the leaves in your cooking straight from the freezer, you lose none of their culinary impact. 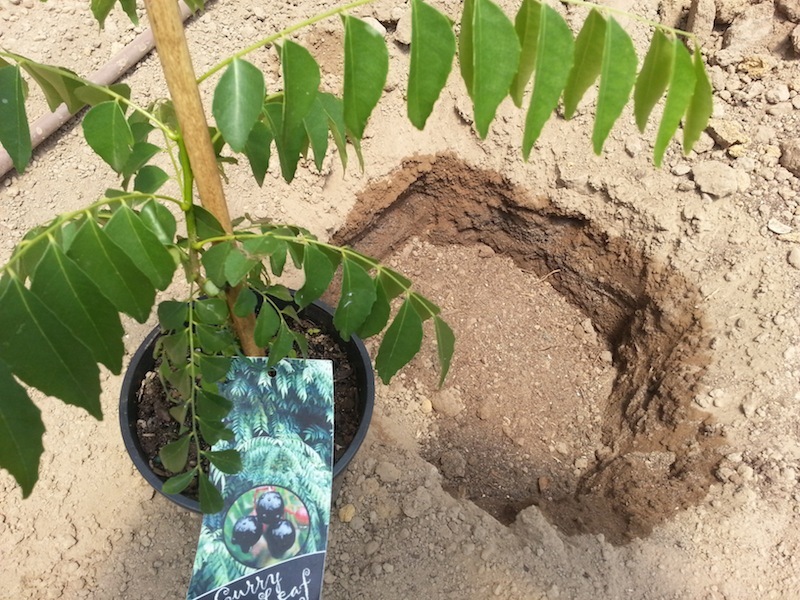 For recipes on Geoff Jansz Food using leaves from the curry tree, click here. Curry leaves are also a necessary ingredient in my Spicy Tomato Relish. That’s as much of the recipe you’re getting! Please feel free to purchase this wonderful product hand made here on the Farm. Proceeds go towards malaria tablets and camouflage clothing.